The Revlon Expert slant tip tweezer is manufactured in China from stainless steel and has a special embossed black coating to give a better grip. ​These tweezers retail at less than $7 and are therefore an affordable addition to your beauty toolkit. For the price, you get a well aligned, attractive and practical pair of effective slant-tips from a well-known and respected manufacturing ​Brand. The product comes packaged on a card with plastic covering and a bit of bubble wrap to protect the tips. The small type includes information about the Revlon guarantee against defects, together with information about how to return the product if necessary. I found it disappointingly sparse, really - I think it would have benefited from a bit of use and care ​information, and have added a few hints and tips of my own later in this article. My first impression of these tweezers was pretty good, and I really liked the easy grip feature. It has an almost "crocodile skin" type effect which gives a nice, comfortable feel in the hand. ​They measure 9.4 cm from tip to bottom and are shaped to widen out at the grip for more control, measuring 1 cm at the widest point. The picture above gives you an idea of how that looks, bearing in mind I do have quite a small hand! I tested these tweezers and found that the alignment was good - I was able to grasp hairs easily and on the whole the hairs were removed cleanly. I did, however, have a couple of slippages. The tension in the tweezers is quite firm in comparison to some of the others on the market. Obviously no problem at all for the odd stray hairs. Slant tipped tweezers are the perfect "all rounders" of the tweezer world due to their versatility and ease of use. The slanted flat side of the tweezer is just perfect for eyebrows; they can be easily angled to follow the contour of the brow, making it easy to grasp and pluck hair in the direction of growth. The tweezers can be flipped over to use the pointed end of the slant for more precision, as and when required, without the needle-like sharpness of point tipped tweezers. Sterilize Tweezers before and after use - you can use rubbing alcohol for this. I would recommend Beauty Secrets Cleansing Alcohol, as well as killing germs it has a pleasant smell! Open Pores by having a nice hot shower before you start tweezing. This will also soften the hair and skin and help the hair follicle to give up its hair cleanly from the root. Alternatively you can use a hot flannel against the treatment area for a few minutes for a similar effect. Exfoliate to ensure that any dead skin cells, bacteria or other matter are removed. This will help prevent infection and also ingrown hairs. Grasp Hair individually as close as possible to the skin without exerting pressure. 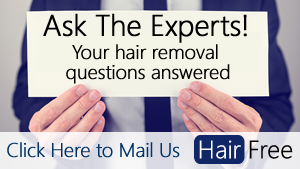 Removing hair one at a time will help to ensure that each hair is removed from the root and prevent ripping. Pluck firmly and quickly in the direction of the hair's natural growth. This is very important to help prevent breaking the hair above or just below the surface. Store Tweezers Safely, preferably protecting the tips. Do avoid dropping the tweezers which can damage the tips and put them out of alignment, potentially rendering them useless. After Tweezing apply a toner to close the pores and a soothing lotion such as Aloe Vera can be used. The instructions for returning defective tweezers are to pack in a padded envelope together with a description of the fault and mail it, insured, to Revlon allowing 4 - 6 weeks for return (valid in the US and Canada only). The wording further states that the guarantee will be void if the tweezers are rusted or deemed to be abused. Alignment​ - both sets of tweezers arrived well - aligned and I was able to grasp hair easily. Sharp Tips - Actually, for me the OceanPure ​just edged it here - I did not have any slipping when I used them, and as you can see from the picture, the tips are more finely sharpened. A nice little bonus that is included with the OceanPure tweezers is a storing pouch to keep them in. Both offer guarantees - Revlon as outlined above and OceanPure say they will replace any defective product with one year of date of purchase. Overall, I think that they stack up fairly evenly and in the end it would simply come down to personal preference. If you are wondering what the advantage would be in paying a bit more, I have also reviewed the slant tipped offerings from Tweezerman and Rubis. Overall, I think the Revlon Expert is a pretty good quality tweezer for the price. My only reservations were around the tension and ​sharpness of the points. I have to say that for the majority of the time I was able to remove the hairs cleanly from the root, but to say that they were perfect would not be accurate.